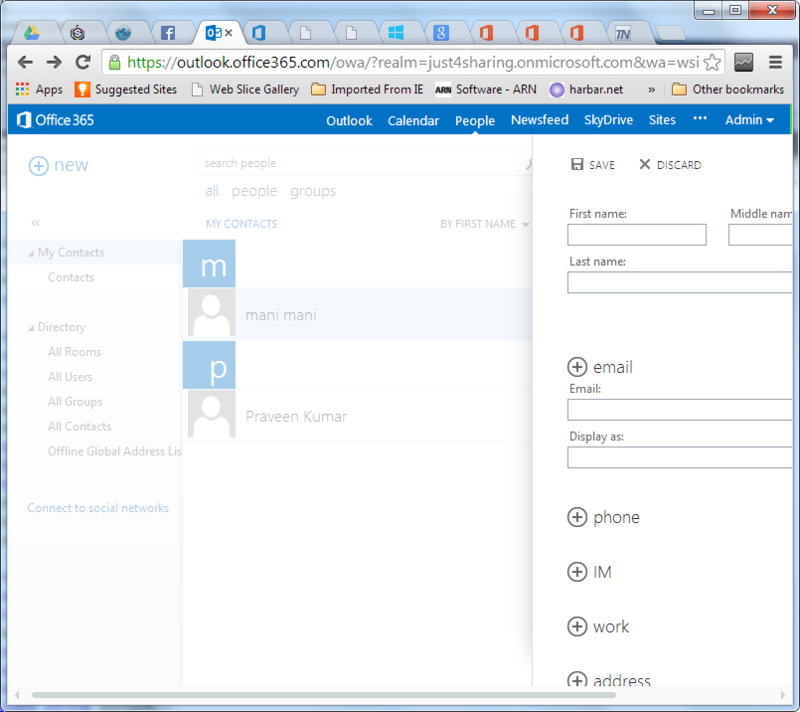 How to add users in SharePoint 2013 site in cloud account? I am new to SharePoint 2013, and I am now trying to learn about SharePoint 2013 by myself . I created my site in SharePoint 2013 in cloud service using Office 365. After I created my site, I need to add users and create group for my site. How do I add users like other mail id's? I went to Site Permission, and it is asking to invite people to 'Full control', etc. But in that column, if I give any other new mail id it does not accept it. How do I populate the members mail id, or how do I access or create members mail id in my site? Then only I can invite people to access permission for my site. I cannot access other mail id in my site. How do I create other mail id and populate that in textbox while giving permission? I am trying all of this in Cloud service. Add users to the People Service. Those users will be validated in the text box you mentioned above. Not the answer you're looking for? Browse other questions tagged 2013 sharepoint-online office-365 or ask your own question. How to bulk share / invite a site collection to multiple external customers using Powershell? A list of all users in a SharePoint site, including in a group? How to make a 'key-user' the owner of a site?